Great d�cor for any luau, pool, or beach party! 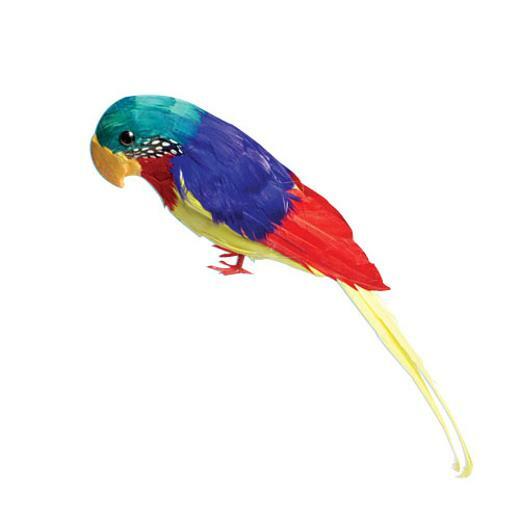 This realistic parrot comes with colorful with soft feathers. This feather parrot are a great addition to your luau party supplies and decorations. L: 5.5 in. W: 3.1 in. H: 13.45 in.